Caravan Towing Mirrors – How Important Are They? FREE ANNEXE OR CONSERVATORY WITH EVERY CLASSIC AIR 300 & 380 PURCHASE! Scottish Caravan, Motorhome & Holiday Show! 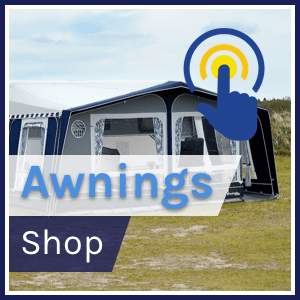 Unbeatable End Of Season Prices on New Awnings!!! Awnings are Stocked and ready to go! Buy a new Motorhome or Caravan and a Christmas tree! Would like to join our Caravan / Motorhome sales team? 2017 DEMO Caravans and motorhomes EARLY RELEASE! Last of the 2016 models! National Camping and Caravanning Week! Join us at our 16th Rally! 2016 DEMO Caravan and Motorhome SALE! 2015 Demo Caravan and Motorhome Sale Now On. Davan Caravans and Motorhomes will be closed on Thursday 2nd July. Winter Caravan and Motorhome Servicing Offer. Notice to all of our customers. Batribike bikes here for demo..
Excel Motorhome and Caravan show 2012. Its showtime again and the first show for Davan Caravans is…..
January Sale Now On here at Davan Caravans……..
Davan Caravans want to say………. Davan Caravan and Motorhomes dealers 75th Anniversary Rally. New 2012 Caravans Now In! Davan Caravans are at the Shepton Mallett Show…..
Buy now and AVOID the April price increase! Its Show Time For Davan Caravans..
Pre NEC deals here at Davan Caravans on Swift 2011 models…. ** STOP PRESS ** Davan Caravans have just been appointed a dealer for the KAMPA CARNIVAL awning…..
May Day Bank Holiday 15% discount in Davan Caravans shop…..